UMMO: Harmless Prank or the Hoax of the Century? The early contactees emerged from the musings and lectures of metaphysicians of the 1950s, those who went beyond listening to the long messages dictated by trance-mediums or automatic writers to claim firsthand experiences with the “space brothers”. There is a certain charm to the early contactee accounts coming out of Latin America, as they contain elements strongly reminiscent of Jules Verne’s novels – portrayals of individuals coming into contact with the advanced technology of an alien race as opposed to a reclusive genius, with the resulting minute descriptions of the technology employed. In Spain, the emerging contactees and scholars of the new phenomenon shared a common origin, at least in Madrid: La Ballena Alegre (the Merry Whale), the basement of the street-level Cafe Lyon. In the smoke-filled recesses of this underground world, playwrights and priests gathered together to listen to the compelling oratory of Fernando Sesma, journalist and true believer, author of a newspaper column on the subject of the otherworldly. Sesma’s esoteric get-togethers would – in the fullness of time – give birth to one of the most spectacular UFO myths ever recorded: the UMMO affair. But in 1955, all eyes were on an alleged “Martian stone” given to Alberto Sanmartin, a hospital orderly, by a humanoid entity that irradiated love and understanding. The orderly bemusedly accepted the stone – crawling with strange glyphs – and watched the humanoid descend into a ravine, board his spacecraft and take off into the night sky. While many called the experience into question, others saw the stone as the first bona-fide proof of an alien presence on Earth. Severino Machado, a priest, became Sanmartin’s strongest supporter, devoting hours of study to the mysterious signs on the stone. The personalities that had made Madrid’s La Ballena Alegre such a weird and wonderful place in the 1950s, continued their activities into the new decade under the guidance of Fernando Sesma, perhaps best described as chief instigator and merrymaker. At some point in 1962, Sesma received a phone call from someone or something claiming to be “Saliano” from the distant sphere of Auko. The residents of this planet must have been quite addicted to their own penmanship, as “Saliano” bombarded Sesma with correspondence filled with scrawls and portents. These missives would be read out at the Merry Whale to the delight of believers and non-believers alike. This carefree reading of what was largely contactee claptrap gradually gave way to more serious fare, received not from Auko but from UMMO, a world endowed with the power of space flight but, alas, not the lowercase typeface. The spacefarers from UMMO – located some 14 light-years away from Earth -- described themselves as tall and blonde and would have fit in perfectly with Adamski's Venusians or thel Nordics that became part and parcel of the ufological taxonomy. Often endowed with names like DEI 98, ASOO 3, and IAUDU 3, they represented a civilization that had overcome planetary disharmony and mastered the secret of trekking throughout neighboring solar systems in their wonderful OAWOLEA UEWA OEM, which dull Earthlings could only describe by their shape as "flying saucers." These advanced space travelers were in possession of a science completely undreamed of by human thinkers: their numerical system operated on a base of 12 rather than 10, as does ours; they had discovered that the link between body and soul was a chain of 84 atoms of krypton lodged in the hypothalamus; their physicists had rejected our concept of Euclidean geometry and discovered that the universe was composed of an unsuspected number of dimensions and that matter, energy, and mass were in fact the result of three independent axises known collectively as IBOZOO UU. It was precisely this control of IBOZOO UU which enabled them to leave their homeworld and reach our solar system in some seven or eight months of travel time. Ummite cosmologists spoke of a "multiverse", the WAAM-WAAM, and were fascinated by magnetohydrodynamics, which they employed to power the small remote spheres (UULEWA) employed by their agents on Earth. Their society, or UMMOALEWE, was probably the most attractive asset these avowed aliens could offer a Spain that was stultified by the repressive Franco dictatorship: full equality between the sexes, religious free thought, and an apparent lack of hierarchical structure, in spite of having leaders, which could be very young, and were shown great deference. The Ummites also had the kind of gadgetry that would have made James Bond's Q green with envy: ballpoint pens that emitted buzzing sounds for remote communications, metallic spheres which hung suspended in mid-air as if by antigravity, and glowing discs the size of a quarter which could light an entire room. All the information concerning their society, organization, and beliefs was gleaned from endless, erudite "reports" aimed at familiarizing humans with their culture, as well as acquainting humans with their perspective on our affairs, such as war, inequality, etc. These reports were allegedly transmitted by means of dictation to a human typist (who was strictly ordered never to attempt contact with the addressees), and then sent to scientists, philosophers, and broad-minded individuals who in the Ummites' criteria, would be able to understand them and put them to good use. Unlike other contactee fare, the Ummites offered neither religious messages nor the hope of imminent salvation from cataclysms that never quite materialized. Belief in the solvency of these communications was bolstered by a series of curious coincidences in which some of the UMMO letters predicting sightings and landings of their spacecraft in the Madrid area apparently coincided with UFO sightings that appeared in the local press: the landings at San José de Valderas and Santa Monica on June 1st, 1967 could only have been produced by the Ummite vehicle collecting its passengers and heading into space. Oddly enough, the Ummites had taken the precaution of notifying three journalists they had befriended in Madrid about this upcoming event. Between thirty and forty people, members of Fernando Sesma's Club de Amigos del Espacio (Space Friends Club) attested to having seen an ad in the newspaper which provided the coordinates and arrival time for the interstellar craft. The lenticular craft, with the famous UMMO emblem on its underside, crossed the skies over Madrid's San José de Valderas sector before making a brief landing at Santa Monica. A number of witnesses claimed to have seen the Ummite vessel rise from behind a line of trees, hover, and fly up vertically at a tremendous rate of speed. There was also physical evidence to bolster the Ummite’s claim: a trio of rectangular imprints arrayed in a triangular formation, and burnt soil in the triangle's center. Yet far more fascinating than these ground effects were the nickel tubes containing long strips of material embossed with the UMMO emblem -- )+( --. Upon analysis, however, the metal tube and the strips proved to be highly unusual but hardly alien: the former was indeed an unusually pure form of nickel, and the latter was a material known as TEDLAR, manufactured by DuPont and used for space-related applications. However, the Ummite landing in Santa Monica was declared a fraud early on, and it is as such in Vicente Juan Ballester-Olmos' Enciclopedia de los encuentros cercanos con OVNIS (Encyclopedia of UFO Close Encounters). Suspicion began to fall upon "professor" Fernando Sesma and his merry band of followers. According to distinguished investigator Antonio Ribera: " [Sesma] has a reputation for being fantasy-prone, given to unfounded speculation with little grounding on reality, such as what has been presented in certain magazines and books." Ribera and fellow investigator Rafael Farriols managed to have Sesma hand over all the "originals" given to him by the Ummites, who no longer interested him because they weren't as spiritual as Saliano from Auko. The “UMMO Affaire”, as it would become known for posterity, reached far beyond Spain as serious researchers in other European countries became recipients of the intriguing correspondence. Aimé Michel and René Fouéré received UMMO microfilms and photographs of a spacecraft identical to the one supposedly seen over San José de Valderas, thus bringing UMMO's existence to the notice of French investigators. The Ummites themselves had revealed that their first landing on Earth had taken place near the village of La Javie in Southern France, where they proceeded to remove samples of hair and bodily secretions from the sleeping occupants of a home close to their landing site. Among the Ummites' "booty" were items as diverse as newspapers, light bulbs, and knickknacks. Eminent UFO researcher Jacques Vallée visited La Javie, and in searching through the local police files, discovered that the occupants of the house in question had reported the theft of an electric meter, which happened to be among the articles supposedly pilfered by the itinerant spacefarers. Vallée pursued the phenomenon to Argentina, where a medical establishment dispensing miraculous cures had become UMMO's most tangible manifestation to date. An earlier Vallée book, Messengers of Deception, intimated the possibility of an espionage link with UMMO as part of the Cold War. In 1970, a British company known as UMO Plant Hire Ltd. was exposed as a front for KGB activities. One year later, over a hundred Soviet officials were expelled from the UK under suspicion of espionage, and UMO closed down. In an interview with journalist Linda Strand, Vallée observed that there existed the strong possibility that UMMO was in fact some sort of covert exercise by one of the world's intelligence agencies, possibly aimed at the creation of a cult which would later be put to other uses. He was not alone in his observation: it had already been suggested by certain Spanish investigators that life on UMMO -- an antiseptic society obsessed with personal cleanliness, heavily dependent on gadgetry for every detail of their existence, flitting about in air cars straight out of The Jetsons -- reflected the ideal futuristic society from an American cultural perspective, thus hinting at the possible motive force behind the entire affair. 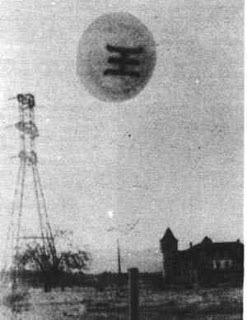 The UMMO phenomenon can lay claim to being the longest-running hoax in ufology. It drove wedges between believers and non-believers -- between those who had received, yet again, the Good News purveyed by the space brothers and those who took a more skeptical approach. Apparently, the scientific jargon that characterized the UMMO reports led many to consider it the real thing. Curiously enough, the very first "sighting" of one of Ummite saucers -- at Aluche in 1966 -- was witnessed by José Luis Jordán Peña, a habitué of the Merry Whale and an engineer by profession, who has since been accused of perpetrating the entire hoax.